On Thursday night, Atlas can barely keep his body in bed. The adrenaline of a fresh steal courses preemptively through his body, shaking his arms and fidgeting his legs under the cotton sheet. He had barely said anything at dinner, too zoned out to even pass the salad, so Andrea sent him upstairs for an early bed and doomed him to a night of pacing his floor like a caged animal and then lying in bed waiting for Mary to call. At exactly 11:00 PM, after Chris and Andrea shut their bedroom door and turn out the lights, Atlas gets a text: “Get loose. Red van. Two minutes.” He throws his legs over the side of the bed as quietly as he can, grabs his duffel bag, and throws it out the window onto the grass below. Then he hoists himself out as well, dangling precariously from the white wooden ledge, and drops the ten feet to land on all fours on the soft, wet grass. He feels like Ken Kesey about to embark on his trip in his 1939 International Harvester with Neal Cassady at the wheel, ready to take on the world, and there’s a certain skip in his Atlas’s step as he walks towards the rusty red van forty-five seconds early. 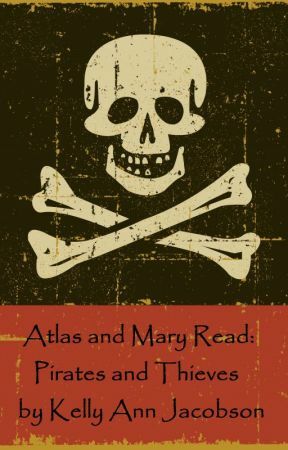 Atlas knocks on the back door and it swings open to reveal Mary and the man who must be Max, though Atlas is too distracted to notice much about the older guy except his rainbow colored dreads and the snake bite studs in his lip. Instead of saying hello, Max immediately turns away from Atlas and stares into the truck. “What’s wrong with him?” Atlas asks. Max turns back around. “Very good. Now watch.” He peels the wig off, revealing a bald head, and takes the magnetic piercings out of his lip. “I have very noticeable eyes, blue with green around the edge, but you didn’t notice that. You didn’t notice my black shirt with a hole in the left sleeve, or the fact that I’m wearing neon green laces in my sneakers. If I had wanted to rob a bank, let’s just say, I would have been unrecognizable as soon as I left the crime scene.” Max finally sticks his hand out, and when Atlas takes it, Max pulls him into the van. “That’s a lesson for you, kid: always get their attention, but put it on the wrong thing. The van smells like old shoes and moth balls, probably because the sides are lined with clothing racks and rows of sneakers, pumps, and flats in every size imaginable. At the driver’s end is a case of wigs, including Max’s former hair style, and across from the case is a professional stylist’s chair (screwed into the bus’s dirty carpet floor for safety). “Roger,” Max says, stuffing Atlas into the chair and bucking the makeshift seatbelt attached to it around Atlas’s waist. “Fix me up how?” Atlas asks, but Mary peels out of the parking spot and down the neighborhood street so quickly that he becomes more worried about his safety than his appearance. His head whips side to side and the chair wobbles, like a bee stuck to a flower during a rainstorm; Max holds onto the hand rails on the ceiling and plants his feet like a surfer, but against Mary’s reckless driving, even he ends up knocking into one of the clothing racks.